Crystal Rose is one of the founding members of Bays Lung Rose Holma and one of Hawaii’s most accomplished and creative business litigation attorneys. Ms. Rose’s cases over the past two decades have helped shape the face of Hawaii business, transforming among others the state’s largest private landowner and the state’s banking industry. Represented Queen’s Medical Center, the largest medical provider of hospital services in the State, in a complex commercial dispute against Kaiser Permanente involving alleged fraudulent billing practices by Kaiser. The case settled amicably. Represented the Church of Jesus Christ of Latter-day Saints, Hawai’i division, in various land disputes involving their property in Lai’e, Hawai’i. The Court confirmed their land title rights and evicted the parties making claims against the property. Represented both the Kamehameha Schools and the Boys Scouts of America in various claims for alleged sexual misconduct based on circumstances that occurred over decades ago. Represented Central Pacific Bank in complex litigation arising from the bank’s planned takeover of City Bank. The case was Hawai’i’s first major takeover litigation in more than a decade. 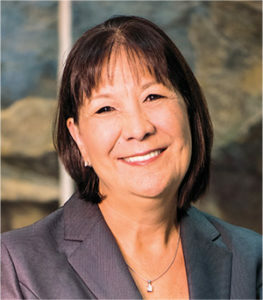 Central Pacific Bank successfully completed the takeover of City Bank in 2004, and Ms. Rose now chairs the Board of Directors of Central Pacific Bank. Represented Xerox Corp. and its managers in the numerous lawsuits filed after Byron Uyesugi shot and killed seven of his Xerox co-workers in 1999. After extensive discovery and motions, all claims were resolved. Represented the Trustees of Kamehameha Schools in the defense of the Schools’ admission policy providing a preference to Native Hawaiian children. The policy was upheld by the U.S. District Court, cite, and affirmed by the Ninth Circuit Court of Appeals. Cite The case was resolved prior to a hearing by the U.S. Supreme Court, and the Schools continue their mission of educating Native Hawaiian children. Represented Kamehameha Schools Trustee Oswald Stender in his Petition to Remove fellow Trustee Lokelani Lindsey, to stop the harm she was causing to the Schools’ students and the Schools’ mission. After a highly-publicized five-month trial, the Circuit Court removed Lindsey as a trustee. Lindsey’s removal, and related litigation, led to a major reform of the governance of Kamehameha Schools, Hawaii’s largest landowner. Represented the Trustees of the Don Ho Trust in contentious litigation challenging the estate of well-known Hawaiian singer Don Ho. An arbitrator ruled in favor of the Trustees on all issues, and awarded them all of their attorneys’ fees and costs. Represented one of Hawaii’s largest homebuilders, Gentry Homes, in litigation involving alleged construction defects, including a class action arising from alleged termite problems. All cases were successfully resolved. Represented a prominent businessman regarding claims that an architect fraudulently mismanaged construction of the businessman’s home. An arbitrator awarded Ms. Rose’s client $1.4 million in damages. Represented one of Hawaii’s top architectural firms, Group 70 Architects, and one of Hawaii’s top engineering firms, R.M. Towill Corp., on numerous construction and contract-related claims. All cases were successfully resolved. Ms. Rose has experience and expertise in corporate governance and related legal and compliance issues. She has served on the Board of Directors of Central Pacific Bank, Hawaiian Airlines, Hawaiian Electric Company, and the Gentry Companies. She also has served as a Commissioner to the State of Hawaii Department of Hawaiian Homelands. Ms. Rose is active in the community. Her community service includes serving as a Trustee of the The Nature Conservancy; a Board Member of the Blue Planet Foundation; a Board Member of Child and Family Services; a member of the Board of Advisors to the Chief Executive of Kamehameha Schools; a member of the Advisory Boarad of Assets School; a member of the Advisory Board of Catholic Charities; a Board Member of the Boys and Girls Club of Hawai’i; a member of the Circuit Court Civil Rules Committee for the First Circuit Court, State of Hawai'i; a Hearing Committee Member of the Disciplinary Board of the Hawai'i Supreme Court. Previously, Ms. Rose has served as the Secretary and Treasurer of the Native Hawaiian Chamber of Commerce; and a member of the State of Hawai'i Board of Engineers, Architects, Surveyors and Landscape Architects. Ms. Rose’s professional publications include authoring "Residential & Commercial Evictions in Hawai'i" (National Business Institute, 1994); "Advanced Real Estate Law" (National Business Institute, 1991, 1992, 1994); "Basic Real Estate Law" (National Business Institute, 1990, 1991); and "Real Estate Broker Liability" (Hawai'i State Bar Association, 1989). Ms. Rose was born and raised on the Big Island, and graduated from Kamehameha Schools. She is a graduate of the Hastings College of Law, University of California. Since 1987, she has been a partner of the law firm now known as Bays Lung Rose Holma.